Just a quick post to take a moment to remember my sweet Mama Ho. Can not believe it’s been one year already, seemed like only yesterday when it all happened. Losing her was the hardest thing our family has ever had to go through. Mum being Mum was always the centre of attention (through no intention of her own of course…) wherever she went people knew she was there, if not for her annoyingly radiant and natural beauty then it was her incredibly loud voice and laughter. However one thing for sure, we all loved her for it. Even now she’s the centre of our universe, we still talk about her everyday. Now I am able to laugh and smile when I mention her, most of the time. I still love one particularly fond memory of her playing “coy” to her beauty. After a nap she had rummaged through her photo albums and found a rather breathtaking photo of her perfect self and showed it to me. As I stared silently at the photo of my young mother dressed in a mini skirt and killer heels, she could only wait a few moments before bursting out with “I wasn’t that ugly was I?” Talk about fishing for compliments. I laughed, played dumb and told her nah, maybe a 5 out of 10 but not ugly. LOL didn’t go down too well. That memory still makes me laugh. She did smile when we told her she was beautiful, I only wish I had told her more often. I won’t let Today become a day of tears, we promised to keep smiling whatever happens and so here I am remembering your funniest Kiu moments. 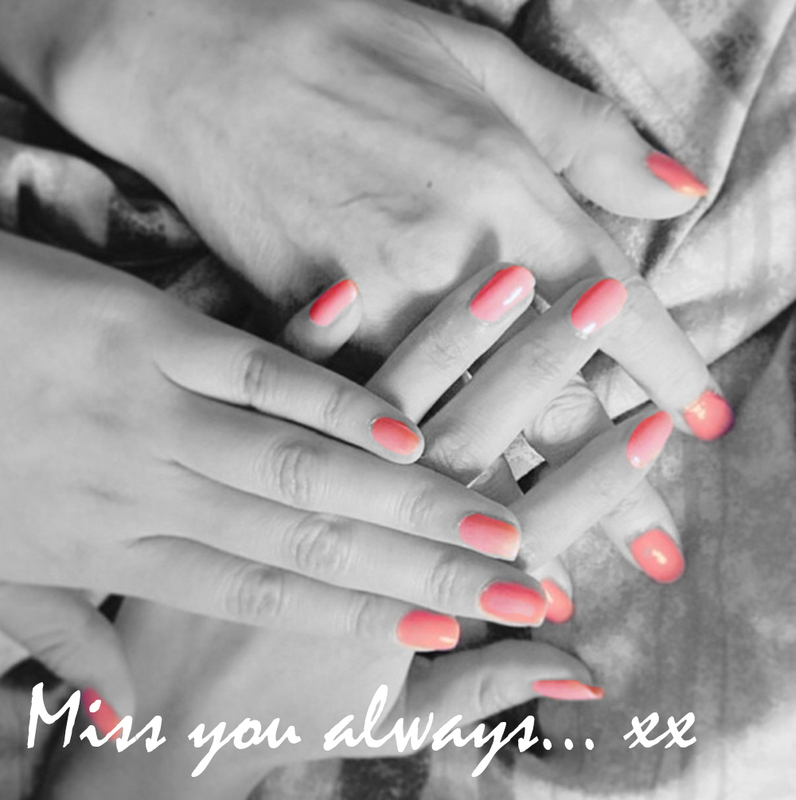 I miss you Mum more than you would ever believe. Who knew getting told off for washing my hair at night, leaving my room in a mess or simply being nagged for little things was such a blessing. Even though you’re not here for me to share my stories right now, I’m saving them for when we finally get to meet again. Thanks to you and your words of encouragement I now already have plenty of stories from the last year to tell you. I can’t wait. Tags: Beauty, family, grief, Loss, love, Mother. Bookmark the permalink.